Built on the same frame as the Majestic, the Kingdom is the most luxurious Barnsby dressage saddle. Covered in all over super soft calfskin, the Kingdom gives ultimate feel combined with a closeness of fit from its unique Monoflap design. The contoured block is sculptured into the flap whilst the panels have been designed to give optimal fit. Based on the BB PSG tree. Designed to fit warmblood types with shape to their backs: typically Dutch, German or Danish breeds. 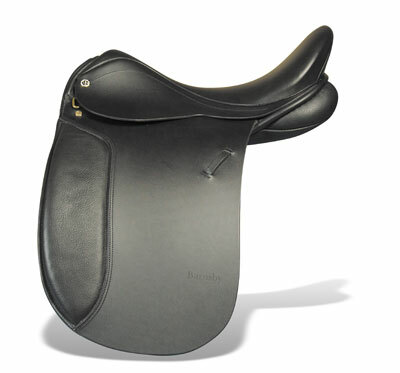 This top of the range Dressage model is Barnsby's most technically advanced dressage saddle. The tree's wide arch and flared, reverse points allow maximum lateral bend and flexing. The N-Gage provides optimum ergonomic for for both horse and rider. Features include a triple foam cushion seat and preformed large knee block with super soft knee pad. The hand stitched, wide bearing surface, wool flocked panel provides maximum feel without compromising horse comfort. Based on the BB90 N-Gage dressage tree. Designed to fit broader, flatter backed dressage horses. The Theoden is designed for the modern smaller, more powerfully built dressage horse which has a broad frame, thick spinal processes and increasingly more shape to its back. The tree has reverse points and a very open front arch that fits perfectly on a dressage horse that is more well built over the shoulder. The tree also has more natural curve in the side rails which allows optimum fit on a dressage horse that is croup high. 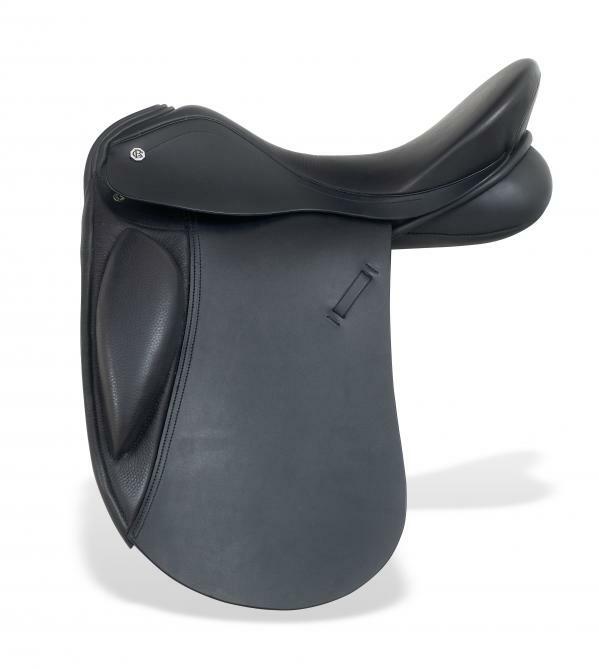 It is available with or without front gussets and extra rear gussets for balance and comes as standard with a blocked over knee pad and double foam cushion deep dressage seat. Based on the BB3 Universal dressage tree. Designed to fit broader, shorter backed dressage horses. 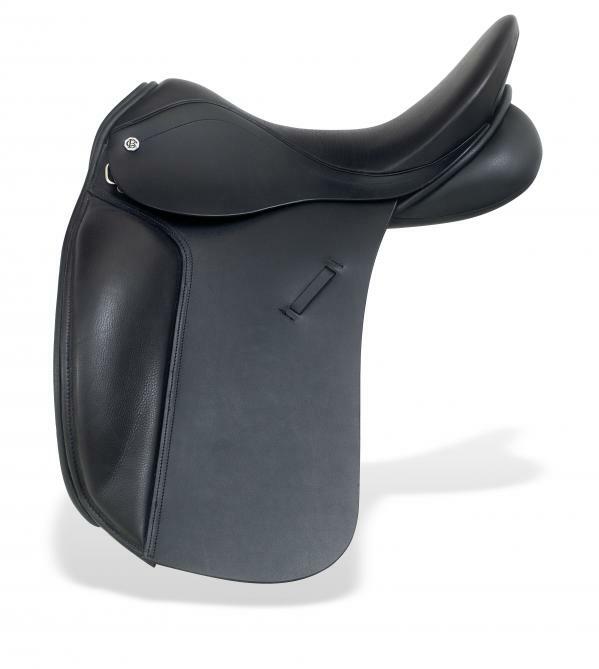 The Jabez dressage saddle has been designed to encourage freedom through the shoulders with a broad channel and broad panels to distribute the riders weight over the horses back line. The Jabez is narrow in the twist with a super comfortable supportive seat. 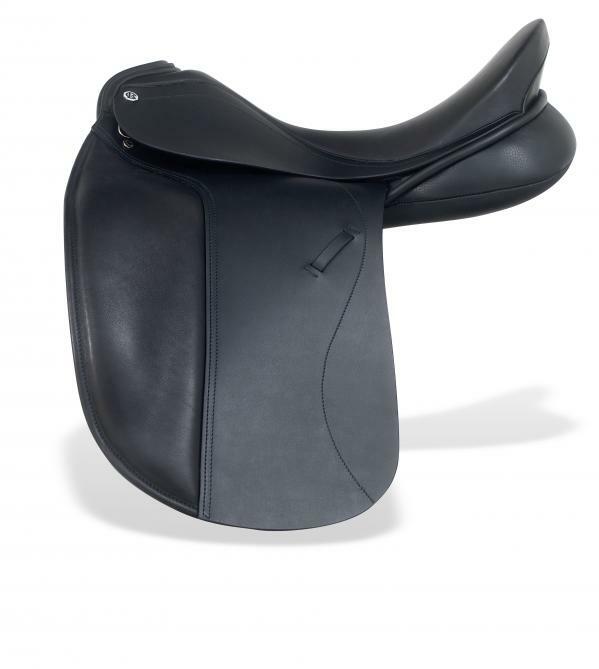 The saddle comes with a choice of three external knee blocks for security in the most powerful of paces. Based on the BB70 dressage tree. Designed to fit narrower dressage horses. The Majestic is designed for the high withered, flatter backed W/B dressage horse. The saddle has a high pommel with cut back head. The tree has reverse points with a narrow twist broadening out to a wide seat to allow the panels to fit as broadly as possible. Front gussets are standard for additional lift over the wither and an extra deep rear gusset for balance is available. 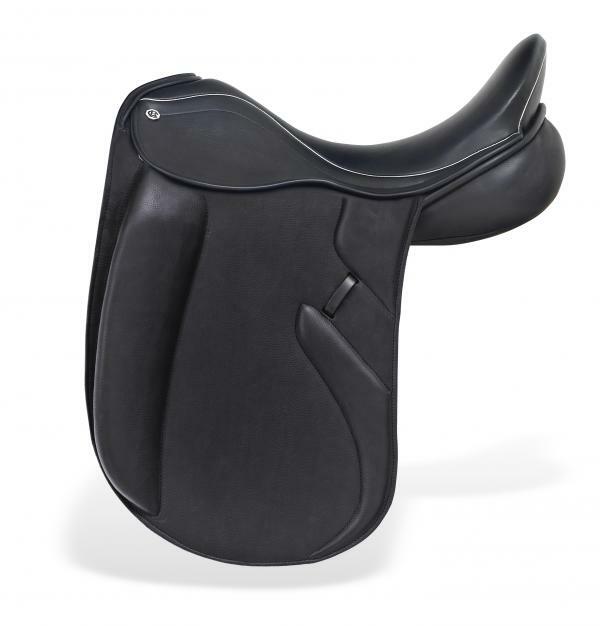 The seat gives a perfect dressage position into knee wedge super, has a super soft Dunlopillo deep dressage seat as standard and can have an optional blocked flap. Based on the BB PSG tree. Desgined to fit warmblood types with shape to their backs: typically Dutch, German or Danish breeds. The ideal dressage saddle for the Riding Club enthusiast. Built on an open head dressage tree to provide freedom for the horse's shoulder. 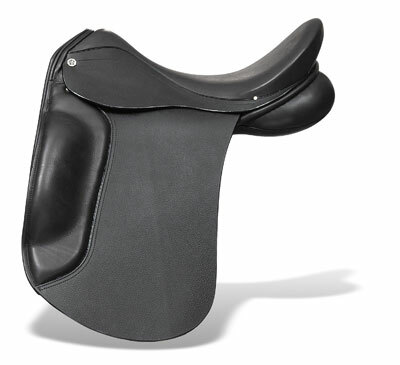 This saddle has a super soft latex seat with narrow twist and dressage knee wedge. 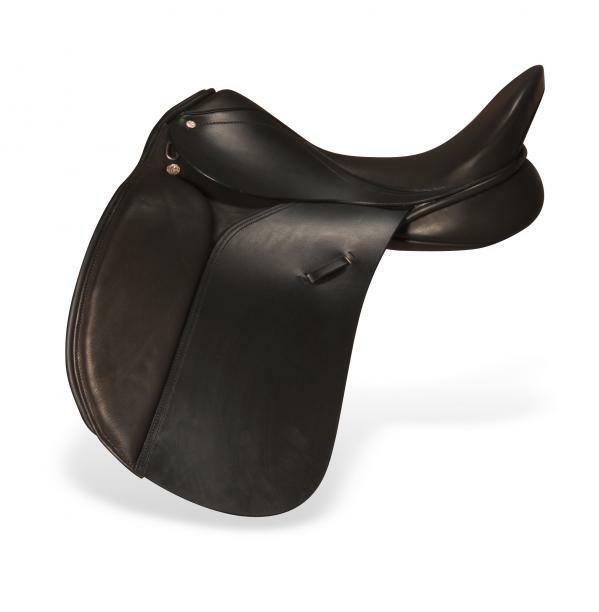 The broad bearing surface panels are wool flocked and the fulcrum girthing arrangement offers a variety of girth positions to ensure the saddle sits correctly on the horse's back. Approved by The Pony Club. Based on the BB90 open head dressage tree. Designed to fit broader, flatter backed dressage horses. Based on the BB90 open head dressage tree. Designed to fit broader, flatter backed dressage horses and ponies.